Home / airline / celeb / news / vietjet / viral / Bikini airlines VietJet offering limited zero fare flights! Bikini airlines VietJet offering limited zero fare flights! First bikini flight attendants and now zero fare flights? 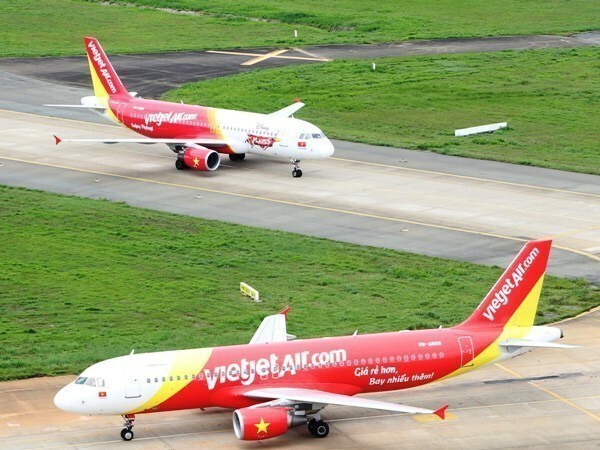 It really looks like VietJet is on a roll to further strengthen its name! A recent update from VietJet has revealed that the international low-cost airline will be adding new routes to Malaysia and Taiwan, with plans to expand to other Southeast Asian countries too! Flights from Ho Chi Minh City to Kuala Lumpur will begin from 1 June onwards, while the Ho Chi Minh City to Tainan City route will start from 22 June 2016. As if the whole bikini fiasco wasn't enough to lure people in, VietJet is also offering 50,000 promotional tickets sold at zero fare on routes connecting Ho Chi Minh City with Kuala Lumpur, Tainan and Taipei. Hurry! This promo will only be for flights booked between 12 to 18 April 2016. The promotional travel period for Ho Chi Minh City to Kuala Lumpur starts from 1 June to 30 October 2016, while for Ho Chi Minh to Tainan and Taipei route is from 22 June to 30 October 2016, excluding public holidays. While Taiwan may be able to enjoy the on-flight bikini model show (lucky them! ), it is highly unlikely that Malaysia will get the same entertainment too due to the country’s strict laws. 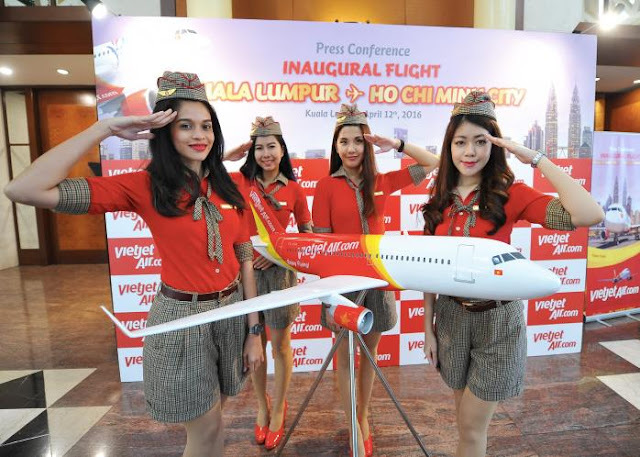 “Kuala Lumpur isn’t a beach destination,” said Vietjet Vice President Nguyen Thi Thuy Binh when questioned about the possible in-flight show at the press conference of the new routes. So, since there won't be any bikini shows on board in Malaysia, we're wondering what gimmicks does VietJet have for it's customers - maybe the flight attendants will don the baju kebaya and do the zapin dance instead? However, it is expected that there will be activities like singing performances, magic shows as well as meet-and-greet sessions with celebrities on board. Let's wait and see what VietJet has planned up their sleeves!